John Batchelor, a long time North Delta resident has devoted thirty plus years as a coach, mentor and leader in the Lower Mainland hockey community. He grew up in Manitoba and played hockey in Winnipeg. John is well known for his steady, respectful approach. His sportsmanship, knowledge of the game and winning strategies make him a respected coach in the community. The most important lesson he tries to impart to his players is to treat every game and every shift like it is your last. “You never know what’s around the corner – when it is all over.” His players have built on his teachings and discipline and carried these lessons into their adult lives. 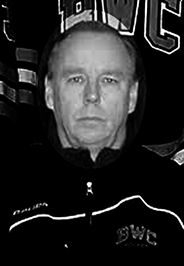 John spent eleven years coaching all levels in the North Delta Minor Hockey Association. His 1997 and 1998 North Delta Pee Wee teams were BC provincial champions and competed at the Quebec Pee Wee International tournament. John’s 1998-1999 and 1999-2000 North Delta Bantam teams were provincial runner-ups. Early in his coaching career, John was an evaluator for the Best Ever Program. For five years, John volunteered to coach the Vancouver Selects, a spring/summer program for elite hockey players. Since 1999, John has coached Bantam teams at the Burnaby Winter Club. His teams have been to eleven BC Bantam Provincial championships winning one bronze, five silver and five gold medals. Six times John’s teams have been to the Western Canadian Bantam AAA Championships, winning one bronze, one silver, and four gold medals. John coached one year of Pee Wee AAA finishing as runner-up at the provincials. The accolades from players say John is not only a great coach and mentor, but also an all-around great person and role model. John is being honoured for his contribution to Hockey and to the lives of his players on and off the ice. Congratulations, John Batchelor on your induction into the Delta Sports Hall of Fame.